the HARE – Matt Downs Draws! 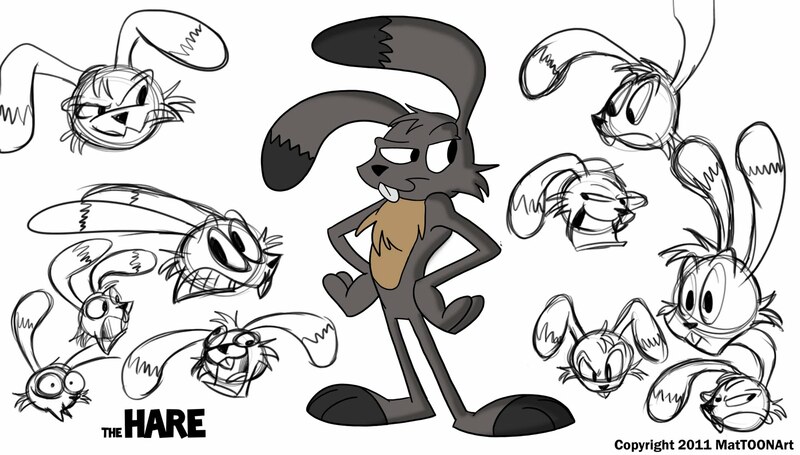 Here is a quick character sheet of the Hare, the main character in my personal revamp of Aesops’ The Tortoise and the Hare. My personal spin of the Hare is what he has always been in stories. An egotistical and cocky rabbit.